The sign said the Post Office closes at 2pm. It was 3pm and thirty two degrees in the suffocating humidity. Monkeys were foraging in residential gardens then returning back across the road into the bamboo and palms. Tiny babies clinging securely to their mothers’ undersides despite their dangerous missions. A few cows wandered about looking a bit lost. Jones had walked one kilometre to find the red roofed Post Office building, one of about five places of importance marked on the town map. Having failed to find the Post Office in the last town he was in he followed the instructions given to him very carefully. 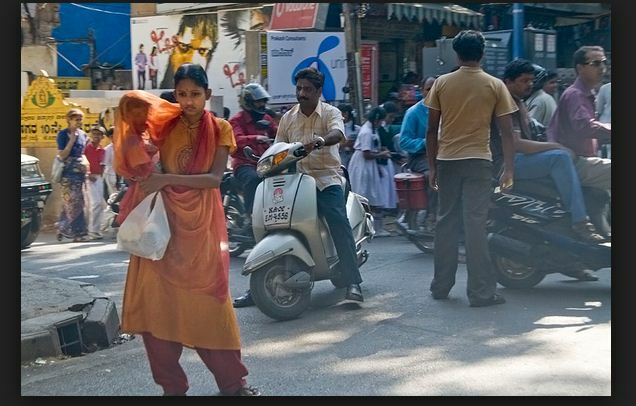 He had spent about an hour dodging bicycles, buses and rickshaws whilst eliminating the numerous sari and jewellery shops from the Indian high street until he was incensed. The monsoons were about two weeks off. They were probably going to be early due to a cyclone on the east coast. The India Express slid under the hotel room door at 6.30am had said a weather station could predict them within five days. Jones was thirty five, average height and had brown hair in a style that looked grown out and in need of a cut. He was wearing a straw Stetson, a lightweight charcoal pinstripe suit jacket, which was too small for him over a sports T shirt with the number twelve on it and indigo Levis. He had slipped his Birkenstocks off as he sat looking at the uninviting green water in the swimming pool at breakfast. ‘Is it OK to swim in?’ he asked the waiter as he put his satchel diagonally over his shoulder. ‘We have a filter,’ replied the waiter. Obviously they needed someone to ask them to use it and it would take slightly longer than his proposed stay to clear the suspension of algae. He wandered how long it had been since it had been used and decided he would swim at the beach early tomorrow morning with the men who swam in their white dhotis and dried in the sun. Before 7am several small fishing boats and the strong undertow threw the clams underfoot up into the waves. If you caught one they opened and snapped shut contracting quickly and nipping your fingers like angry castanets. He had spoken to a local man who had told him the clam fishermen’s lively hood was being threatened by tourism. The delicate ecosystem was endangered affecting the lime shell mining. The shells are used for grinding into a fine calcium powder for cosmetics which was vital to their income. They had sat on the rocks, listening to the crashing waves and chatted while the beach sellers set up their fried banana stands and tried selling camel bone jewellery and shells to the green tourists. One seller was demonstrating how to blow into the large elephant ear conch. The sea continued to eat away at the beach, slowly eroding it and leaving a high step in the sand. The shell stand with the elephant ear was very simple compared to the air conditioned gold shops that insisted you were seated to make your purchase and the insane sari shops, at first sight a crowded confusion of colour. Everything was slowing down in time with the early morning bicycles and yellow butterflies that all moved laterally, occasionally interrupted by a man in a white dhoti carrying a bag of rice home on his head from the local delivery. Returning from the beach there was no glass in the windows of the bumpy bus, allowing a constant breeze to blow through it and the babies and small children to sleep on their squashed mothers. A group of school girls wearing the same coloured ribbons in their hair stood in a row holding the overhead handrail in the packed interior. The bus driver hit his hooter to add to the non- stop cabaret of horns from rickshaws and scooters beep beeping, in the inescapable and familiar racket. The bus passed a stand selling bamboo juice. It had a mangle type wheel that crushed the vertical branches several times and squeezed a whole lime to extract a glass of juice. Rubber trees lined the road and valleys as far as the eye could see or eight kilometres with the strongest pair of binoculars for hire from the kid with an incredibly well practised sales technique. He started by offering a pair for fifty Rupees with a two hundred Rupee deposit, then hit you with the eight kilometre range pair for two hundred Rupees and a two thousand Rupee deposit. Problem. This meant a half hour walk to the ATM. Where’s my PA when I need her? Jones was not in the habit of carrying much cash around and should have learnt his lesson. He was used to Emma, his Production Assistant, organising his daily finances and had come on the short trip to find locations for the tea brand commercial on his own. Every rubber tree had a uniform spiral cut made with a special knife allowing the fresh latex to helter skelter drip into a small plastic cup attached to the tree and collected by agile rubber tappers. Wild elephants roamed the Cardomman Hills and working elephants with mahouts commuted between the sawmills and logging areas in the forest grazing on roadside leaves from the cannonball and red barked cinnamon trees covered with parasitic cheese plants. A horticulturalist rickshaw driver had pointed out the fragrant lemongrass and pale green touch me not mimosa whose comb shaped leaves close up if you prod them and told him about the flower that only bloomed every twelve years covering the Cardamom Hills in violet flowers. Jones thought he was either moonlighting from a nursery or had probably won the Indian version of mastermind. Further up the hill there was a small group of tea pickers at a weighing point with a tall tripod construction used as a scale. Different coloured headscarves and blue aprons were tied around and knotted on the heads of the pickers, normally only visible from the waist up between the bushes skilfully removing the top leaves. They still had another half day to work before emptying their bags for the second weighing. Come the red Keralan monsoon rain, the eight thousand employed pickers would need additional migrant worker help to cope with the rapid growth rate. and a pink light bulb outside a temple that had a red conical roof and gold spires sticking up between the other buildings. Jones arrived at the Post Office at 10.30am. The main gate was open and he walked up the twenty or so steps to the door of the small bungalow. It was shut. He walked back to the gate and asked in a spice shop opposite if they knew when it would be open or where the postman was. ‘Try again in ten minutes to half an hour.’ the assistant told him. This seemed fairly normal. The Indians appeared to spend all day waiting for some things. Everything was in the hands of God, including the near head on collisions and low bridges on the backwater canals. Jones looked around the local shops for half an hour then returned. Eventually the Post Office was opened. A white haired postmaster sat behind a counter at a desk wearing a checked shirt. It was a bare room with red paintwork, a set of scales, a cash tray, book of stamps and some Camel brand glue in a blue bottle. Jones took a letter out of his brown leather satchel and handed it to the postmaster. It took about half an hour to weigh the letter and individually separate the perforated stamps of Ghandi and stick them on with glue and then rubber stamp them. The man kindly glued the envelope flap that had been opened once and lost its adhesive. ‘How long does the mail take to reach England ?’ asked Jones. ‘About a week,’ replied the man shaking his head. Jones wanted to say something as he waited and watched. What did the Hindu say when he trod on a beetle and broke his leg? ‘Don’t worry we’ll put him in a cast.’ sprung to mind. then he downloaded the photos onto his laptop and emailed them back to the production office in London. A small bug took about five minutes to crawl across the marble floor of the hotel lounge. He was tempted to stamp on it but couldn’t be bothered to move. It was Jones’ excuse for karma. It might have a little family somewhere he thought. What’s the difference between a United v Liverpool match and the social services in a broken home? One’s a home fixture and the others a fixed home! Jones was on foreign territory and held his tongue; he had once said that being without transport when his car was in a garage was comparable to losing an arm or leg! Many a true word said in jest is not a saying to be taken lightly. He decided to buy a VW Beetle to fullfil his Herbie Lovebug experience as it would cost less money than hiring something for the week. Unfortunately the Beetle was possibly one of the Mexican models on the US Department of Transport’s Grey list of imports that used floor pans from earlier models and did not meet safety regulations. The car nearly killed him. He was driving at about 50 mph and one of the wheels fell off. He had to sit and wait for the RAC in the dark for 45 minutes having narrowly avoided a nasty accident in the underpowered little box. ‘Take me away and lose me forever.’ He thought. The last Beetle that rolled off the Mexican production line was serenaded by a Mariachi Band. It has probably been crushed and came back as something else like a pink Vespa, plastic hairdryer, prosthetic limb or pair of Channel sunglasses. It is incredible that ‘a car so small can leave such a large void,’ to quote the Mexican ad campaign. Jones ordered some food and a beer. A vegetable kofta arrived on a little silver dish. The bright yellow turmeric coconut curry had small black mustard seeds and fresh, mild, green curry leaves. The honey and chilli paneer and red chilli fish were quite spicy. Jones read an email from his girlfriend Alice. She was used to him working and travelling odd hours. They rested and played just as hard. An interesting and varied vacancy with the opportunity to work with funeral directors, meet the bereaved and stressed, run services and the cremator process with two technicians. No pension details. Q. How would you describe the difference between stone angels on graves and normal sculpture? Where do you draw the line between a first century Greek Aphrodite and a contemporary marble model with a hymn book. Why not have a nice reclining Epstein, Giacometti, Frink, Henry Moore or Barbara Hepworth on your grave. Or a Calder mobile. Where do you stop!? Start with a mescaline trip and take the cochineal on a cobwebbed ghost train with skeletal fingers stroking your face, then go and laugh at the vampires! He thought. She was obviously in a good mood. It was Jones second day of shooting locations for the tea brand commercial. The client was extremely difficult. She had verbally put the previous director and agency down with a vituperous tongue synonymous with a wife perpetually condemning previous bad relationships with a vitriolic attitude and vociferous foment. His production manager had been very understanding and diplomatic. The schedule allowed for three days of location photographs. Everything was tight to allow for the beginning of the monsoon rains. A production meeting was scheduled for Thursday with a stylist, casting assistant and storyboard artist. Filming would start in two weeks. Back the hotel Jones sat and imagined a long, karmic meditation bowl note in his air conditioned freezer before getting some food. He had finished his Kingfisher beer in ten minutes and ordered another. An Indian family on the next table were talking to a Canadian about their picnic and pleasure boating on the PXXX Dam reservoir. Jones had seen the massive 48 m by 450m curved Dam wall and immense pipes to the generator of the hydroelectric power station yesterday. Dense rain forest had camouflaged the huge pipes in the patchwork, panoramic tea plantation scenery which spread as far as the eye could see to infinity and beyond. The energy to the turbines must be incredible he thought. The still water was a tideless, concentrated mass of energy and big calm. centilitres of chlorinated water was quite surreal. He felt quite philosophical about the dysfunction of the white tiled hole that seemed more like a building site without the attraction of the floating water. The dam had taken 50 years from conception to completion and supply of power from the generator. Everything in India appeared to be in the hands of the gods. Civil engineers must be very responsible people, thought Jones. His friend’s father was one, he distinctly remembered his firm handshake and talking to him about football for an hour at his wedding. After his fifth Kingfisher the night before Jones had done some internet research on the dam and discovered that in 1922 the head of Araya had guided the tea estate manager and his friend on a hunt in the mountains at the existing location of the dam. The guide had told them legends that kept the hills alive with the sound of wild animals and spirits. The tea estate manager had been impressed with the supply and flow of water in the forest and conceived the idea for a dam. There were already several dams, some built by the British Army Engineering Corps but not to today’s quality standards of design and construction, monitoring and maintenance, seismic resistance, spillway capacity, and strength of foundation. In a country renowned for landslips, evacuation had to be taken seriously. It took ten years for a construction and power supply report to be put in front of the Government in 1932. Then another ten years for a preliminary investigation on the Government’s request in 1945. Eventually in 1955 a detailed investigation was made by the Commission for Water and Power. A coconut can survive up to a month at sea before it is washed up on another beach and grows into a palm. After six to seven years they are mature enough to produce the coconuts, producing up to sixty a year. It takes another thirty years for the tree of life whose flowers have to be present at Keralan wedding ceremonies, to fully grow. The difficult to crack nut is also known as ‘millionaire’s cabbage’. In addition to the sweet water and milk, the toddy made from the sap is distilled into a strong spirit. The PXXX Dam project report was finally prepared in 1960 and it wasn’t until 1968, eight years later, that the water stored was actually converted into power. The hydroelectric distillery process of pulped and shredded paperwork had taken three generations to ferment. Jones finished his dinner with a cup of tea then went to the bar. He ordered a fresh coconut with a straw like the welcome drink the hotel had given him one when he arrived. He was booked on the 10am train to the airport the next morning. The production meeting was on Thursday. As he held the coconut in the palm of his hand with the nine planets of Vedic numerology, he consulted the mounds of Venus, Luna, Mercury and Saturn about his reconnoitre mission and his future fulfilment. His heart, head and life lines were as precise as his production manager’s budgets and planning.